Fenugreek, better known to us as "Methi" and botanically from the Fabaceae family is used as a herb (dried or fresh leaves), a spice (seeds) and also as a vegetable (fresh leaves that is methi and sprouts). Renowned as one of the healthiest seeds used in cooking and famous for its medicinal properties, fenugreek seeds possess an array of health benefits. Fenugreek leaves or methi leaves, the wonder herb, being rich in vitamins minerals, iron, calcium and proteins increases its culinary value while fenugreek seeds, being a rich source of dietary soluble fiber provides essential control on various health conditions such as body fluids, blood pressure, heart rate and diabetes mellitus. Prevents Diabetes - Well known to control blood sugar levels in diabetic people by slowing down the sugar absorption rate in the blood. 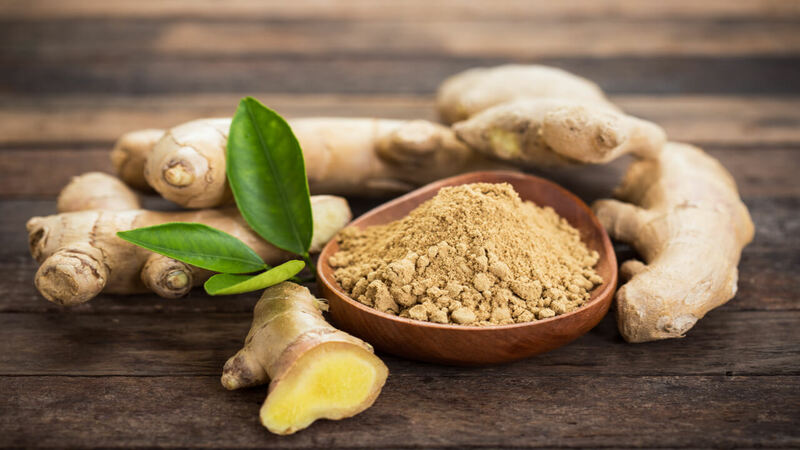 Reduces Cholesterol - Contains Saponins, that help reduce the body's absorption of cholesterol from fatty foods, especially the bad LDL cholesterol and triglycerides. Aids in Weight loss - Being a natural soluble fiber source and suppressing appetite, it increases the supply of energy and modulates carbohydrate metabolism. Increases breast milk supply - Fenugreek has Galactagogue properties helping in the supply of breast milk for nursing mothers. Protects from Cancer - The mucilage in fenugreek bind with foods flushing out toxins from the body and thus prevents cancer. Fenugreek seeds, a source of soluble fiber, contain "Galactomannan" , an essential constituent that helps lower the rate of digestion and absorption of carbohydrates. 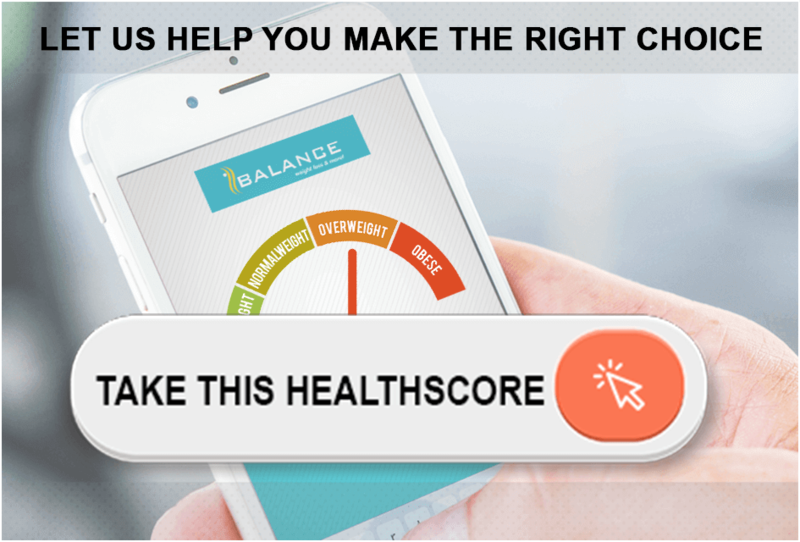 This in turn helps lower the blood glucose levels in people with diabetes and improves overall glucose tolerance. Besides this, fenugreek seeds also have an unusual amino acid (4-hydroxyisleucine), having anti-diabetic properties such as enhancing insulin secretion under hyperglycemic conditions, and increasing insulin sensitivity, thus helping in the treatment of type 1 and type 2 diabetes mellitus. Dry roast fenugreek seeds on medium-high heat for one to two minutes, Stir frequently and add 1 teaspoon over Indian curries , salads and stir-fry dishes. Sprout fenugreek seeds by soaking them in water overnight , keeping them in a jar covered with a cloth for few days until tiny green shoots appear. 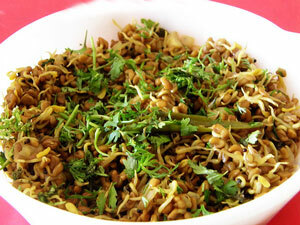 The sprouted fenugreek seeds can be added to any kind of salads. Fresh fenugreek leaves can be added to roti's , parathas , dosas and idlis. 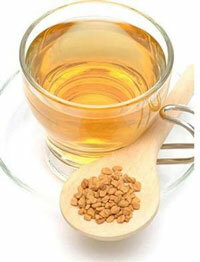 Herbal teas made with fenugreek seeds, lemon and honey is an effective remedy used to treat fevers. Take 1 teaspoon fenugreek seeds and crush slightly. Soak in hot water for 3 hours. Strain the water, add 1 tea bag or tea leaves, add lemon and a pinch of honey for flavor and enjoy your cup of hot herbal tea. Soak methi seeds in water overnight in a jar and cover with a muslin cloth for few days until you see green shoots appear. Once sprouted completely, make a salad using 2 tbsp methi sprouts, lettuce, tomatoes, cucumbers, capsicum or any other veggies of your choice. Season with lemon and pepper and enjoy this healthy salad.